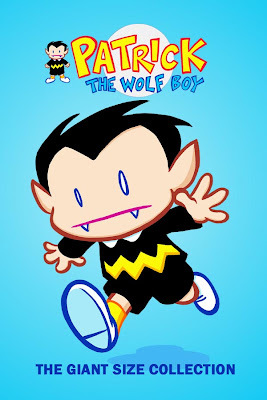 Patrick The Wolf Boy is the first comic by the creative team of Art Baltazar and Franco, who would go on be the force behind such popular all-ages titles as DC Comics' Tiny Titans, Billy Batson and the Magic of Shazam! and Superman Family Adventures and behind the upcoming Ity Bitty Hellboy at Dark Horse Comics. It originally started as a self-published comic book through their own Electric Milk Comics brand, the collective duo and additional assistants being known under the "BlindWolf" name. Patrick The Wolf Boy is the comic where they started working together. As the title says, it follows the self-titled adventures of a little Wolf Boy. It's very reminiscent of classic newspaper comic strips in the lines of Calvin & Hobbes or Peanuts. Art Baltazar and Franco were really able to get what make those classic characters memorable and timeless. Make the same concept their own and run along with it. The book has been released with a few different covers: these are two examples. 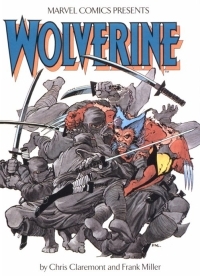 The latest Wolverine film is based on a trade, written by Chris Claremont, drawn by Frank Miller, and simply titled Wolverine. I recently read and thought it would make a good update. Here goes. Originally published through Eclipse Comics, Zot! was the comic debut of cartoonist Scott McCloud which started in 1984 and then ran for 36 issues. 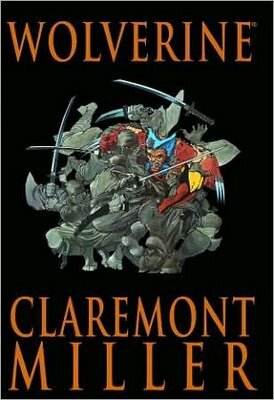 After getting a job at DC Comics, and following the advice of comic book master Will Eisner to follow his own path rather than imitating the DC/Marvel school of superheroes, Scott McCloud was able to launch a fun, original, and lighthearted tale in a gritty comic book scene in the middle of the 1980s. Somewhat inspired by some of his old childhood favorite, such as classics like the Golden Age Superman and the manga Astro Boy, Zot! follows the adventures of Zachary T. Paleozogt aka the self-proclaimed Zot! 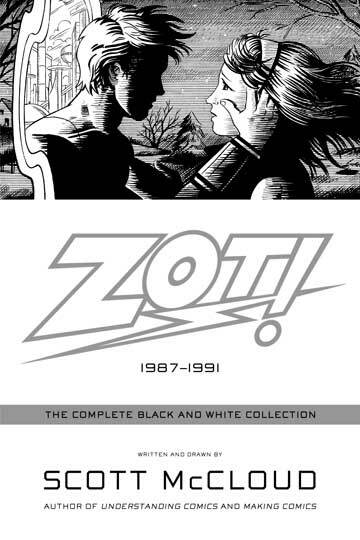 But in an usual twist for the superhero genre, the stories are told from the perspective of Jenny Weaver, a young "normal" girl from our world who ends up in the retro-futuristic science-fiction paradise that is the world of Zot! There has been a distinct lack of posting from me recently, for this I must apologise. My life has got really busy recently. I've started training for a 10k race and despite how fit I thought I was before, it's pretty tiring. It's good fun, but man oh man do I get wiped out by some of the sessions. If you're interested in the detail, I write reports on each training session on my other blog, and you can read them here. Anyway this has left me with less time and more importantly, energy, to blog. The other thing which is taking up some of my time, is I have joined the Radio Bamf team. Radio Bamf is a weekly comics podcast where 5 of us record each Sunday and talk about comics news, reviews and odd points of view. I'm having an absolute blast doing it but it does take time to prepare for it and record. Because of me and my particular passions I do tend to say if books are kid friendly, or new reader friendly. We cover all sorts of stuff but mainly superheroes and indies. You can listen in various places, but I'd say start with the host website, We Are Arcade. There are links to youtube, itunes and the podomatic host sites too. While you're on there you might want to check out the anime and gaming podcasts too. Bringing the conversation back to this site, I don't want the posts to dry up and this blog to die a death, so to accommodate my changing energy levels I think I'll be writing shorter less in-depth reviews. Posts may be just a few sentences long, or a few paragraphs, and they'll probably have less art, but I just can't manage full reviews right now. Of course, I am still accepting guest reviews and am always happy to get new regular bloggers. If you are interested in this please leave a comment, email me on paicomics at yahoo dot co uk, or tweet me @saranagacomics.